Thank you for your interest in the Solar Gardens Institute! Your donation will go to advance our mission by supporting our website, staff, and programs. Tree Preservation: By hosting panels on another rooftop or a community solar garden, people can protect the trees that shade their houses. Share the Land with ecological restoration and agricultural stewardship, using easements. Plant trees and hedges for visual screening that also take carbon out of the air. Combine with features like roads, power lines, and snow fences. Shade Over Pavement instead of competing with photosynthesis. 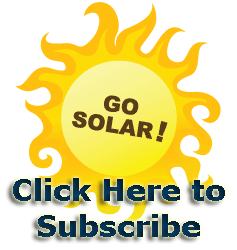 It’s better to place the solar panels on shade structures above paved areas such as parking lots and driveways. New cars can plug in here. Solar Good Neighbor Policy: Consider neighbors’ needs in planning installations. Since neighbors might be installing as well, develop a neighborhood plan. Limit Facility Scale: Build to fit within the urban or rural landscape, with most PV facilities under 1 Megawatt. Use existing distribution lines. The grid is the tree, and the solar panels are the leaves. Use Local Designers: Architects, artists, and even kids can create concepts for installations that reflect local character. Consider Going Off-Grid: At the end of long distribution lines, the cost of maintaining electric poles and lines may outweigh the benefit of staying on the grid. Responsible Business Practices: Build using local and recycled materials. Employ local, empowered worker-owners. Minimize use of toxic materials, use no herbicides, and maximize energy efficiency. Local Ownership and Micro-Financing: Everyone must have the option to own their solar panels. Promote a good price for selling responsible solar power to the grid, and low interest financing through public loan guarantees. A hand up for those who need it: Support a non-profit that donates panels to low and middle income people, who then pass on their savings to solarize more homes. I would really like to have a Solar Garden and some wind turbens on our 40A. proprerty. Mountain Veiw Electric tells me that I would have to upgrade all power lines to the nearest substation and up grade the subsation. Is this a fact?